Dental crowns provide a valuable service to people who have experienced dental trauma and disease. While the priority in dentistry has historically been to prevent extensive damage, there remains a strong need for options that reinstate structure and comfort as quickly as possible. When a tooth has been cracked or broken; when decay has degraded the integrity of a tooth, we turn to dental crowns as a long-term solution. Here, we discuss what it may mean if pain develops in the area of a dental crown and what may be done to repair the problem. Is dental pain always bad news? When we talk about dental pain, there is usually a perception that pain equals trouble. This is true in most situations. We encourage patients to contact our office sooner rather than later if they develop persistent sensitivity or a toothache. However, if pain occurs within a day or two of dental crown treatment, there may be an explanation. Dental crowns cannot fit over an unaltered tooth. To achieve an accurate fit that supports comfortable chewing and a natural appearance, we must reduce the structure of the tooth. Reduction is achieved with a dental drill. When a tooth is drilled, the nerve of that tooth feels a vibrating sensation and may become slightly agitated, resulting in temporary sensitivity or a minor toothache. In most situations, this pain will subside after a few days. Nerve disruption. Dental procedures naturally disrupt the nerves of a tooth. Usually, this resolves spontaneously. However, there are instances in which the nerve doesn’t calm down, and further treatment is needed. This may occur when a tooth has been crowned after removing an old filling because the tooth was disrupted once by the initial restorative procedure and then again when the filling was replaced. Crowns are not full proof against decay. Plaque can accumulate in the margins where the crown and tooth come together. This may relate to gum disease or recession and can result in a cavity that is located at the root area. Both nerve disruption and decay can cause persistent pain. To restore comfort and prevent more extensive damage, we may recommend root canal therapy to remove the damaged root and nerve tissue. 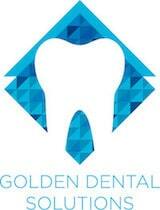 Your dentist in Golden, CO strives to achieve optimal results with the most conservative care. Contact us online or at (303) 277-9600.